This year is the 50th anniversary of GenCon, the greatest four days in gaming, and I’m finally catching up on all of the new stuff that’s been coming out so far! I mentioned this yesterday of course, but the new big thing seems to be the upcoming miniatures game set in the Star Wars universe. While the miniatures come unpainted, unlike the old WotC game, they do nevertheless look pretty great, and I’m seriously tempted by this! Trouble is, I haven’t played Imperial Assault anywhere near as much as I should have by now, so I’m wondering just how much gameplay I’d get out of this… But it looks so good! This thing seems interesting! A GM-less RPG set in the world of Terrinoth and designed by one of the people who brought us Eldritch Horror?! Sign me up! People have been clamouring for years for a Terrinoth RPG, and while this wasn’t exactly what I’d been thinking of, it’s nevertheless sounding impressive as hell. Can’t wait! Of course, there’s plenty of big news coming out of Fantasy Flight right now, including Legend of the 5 Rings, Fallout and Twilight Imperium 4th Edition. I’m not entirely sure about any of them… So many games right now! I’m finding it hard to commit to anything anymore, I mean I only have so much space to store these things, after all! I do enjoy a bit of Firefly, and have been thinking about getting some kind of game to continue the experience! This looks pretty good, I have to say! 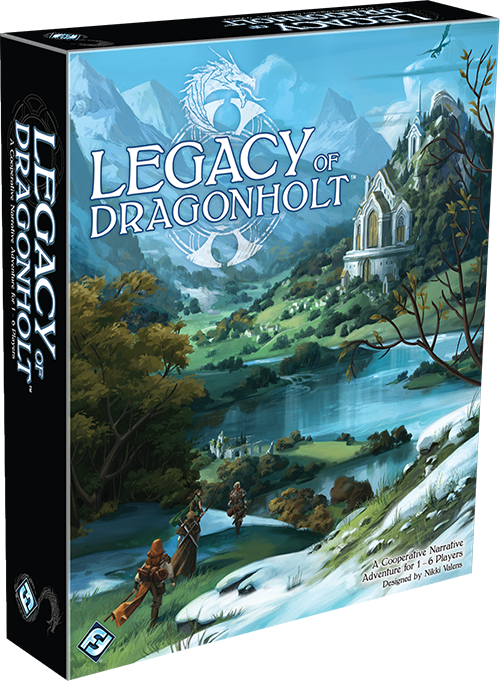 Author spalanzPosted on August 19, 2017 Categories board gamesLeave a comment on GenCon 2017!